Welcome to Myshall & Drumphea parish website. The purpose of this website is to provide current and historic information about our unique community for people from the area and across the globe. The parish of Myshall & Drumphea is south of Carlow just off the main Wexford road at the base of the north–western slopes of the Blackstairs mountains. The lofty summit and haunting splendor of Mount Leinster provides a magnificent backdrop for the surrounding lowlands, with wide open spaces and picturesque countryside. The parish has a rich history with historical attractions and links with internationally renowned figures. Our website tries to capture the essence of the parish by highlighting the many clubs and societies in the parish which provide opportunities for the community to participate in a wide range of activities. As the website develops we will put up regular news updates and information items about upcoming events. Thanks to everyone who provided us with information and pictures for the website and we would like to offer the opportunity for you to forward us relevant information and pictures you would like to have included. All photos will be returned safely. We are glad you are here, and enjoy your visit. November 25: Congratulations to Myshall who won the All-Ireland Camogie Junior club final. They defeated Four Roads of Roscommon 1-03 to 0-03 in Ashbourne. Special mention to Sheila Ryan who collects her 30th County Championship medal. Ballinree Cemetery Mass on Thursday August 23rd at 7.30 pm. 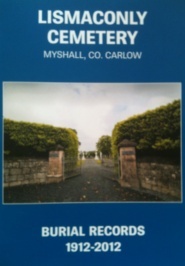 Lismaconly Cemetery Centenary Celebration & Annual Cemetery Mass will be held on Saturday June 30th 2012 at 7 pm. This is a week earlier than usual to coincide with a weekend of celebration in the parish to include the Centenary of the Cemetery & the Blackstairs Vintage Rally. Jim Nolan Myshall Muintir Na Tíre Guild members would like to sympathise with the Nolan Family on the death of Jim who always tried to promote the various activities of the local branch. He is present in the photograph at the opening of the Grotto in 1954 and he was one of those interviewed by a National Newspaper when Muintir launched the website in recent years. Ar dheis Dé go raibh sé! 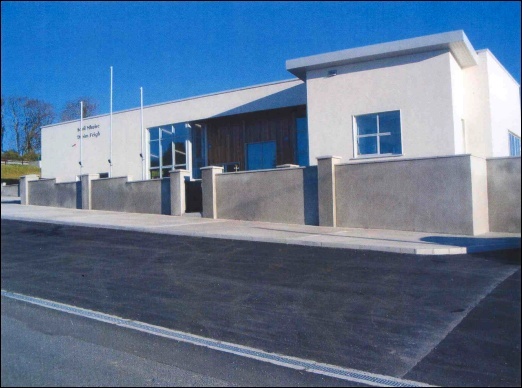 The AGM of Myshall GAA Clubs Lotto Committee will be held in the Clubhouse on Monday 16th January 2012 at 8:30PM. All are welcome to attend. Congratulations to our Senior Camogie Team who last Saturday won their 12th consecutive Senior County Final defeating Mount Leinster Rangers in Spellman Park. Blackstairs Vintage Rally on Sunday July 3rd. On The Ranch. Proceed will go to Myshall & Drumphea National School. 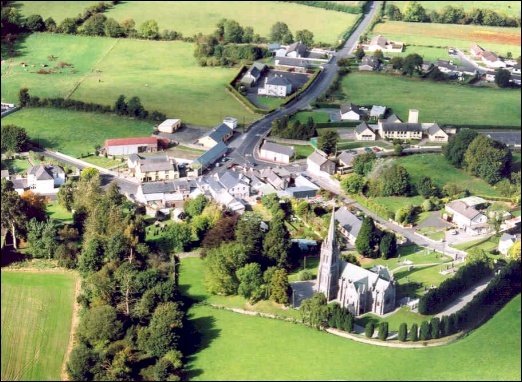 St. Finian special celebration in Clonard, Co. Meath on Sun June 19th 2011 with open air Mass at 3.30 pm. Anyone interested should contact the group by June 8th. Hosted by Myshall Muintir na Tíre.